This semi-detached bungalow is situated near the entrance of the Paynes Meadow cul-de-sac. Whitminster has its own convenience store, public house and a choice of restaurants. Paynes Meadow is well situated for travel throughout the South West being only a few minutes from Junction 13 of the M5 motorway. The centre of Gloucester with its extensive range of facilities is approximately eight miles distant. A number of pleasant country walks are within close proximity including Severn Vale countryside and the banks of the Gloucester/Sharpness Canal. The bungalow is being constructed by a well known and reputable local builder to a high standard. The under floor centrally heated, fully double glazed and well insulated accommodation will include pleasant, well proportioned, living room, fully fitted kitchen, two double sized bedrooms and well appointed bathroom/wc. 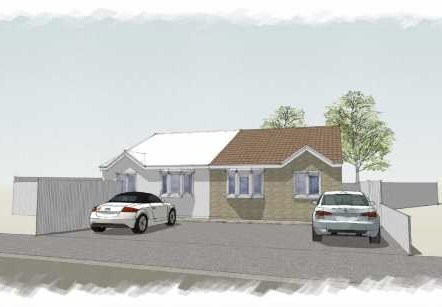 The garden is mainly to the rear and the bungalow will have two off road parking spaces.